Should i say the funniest photo ever or a gross negligence by the National Highway department. 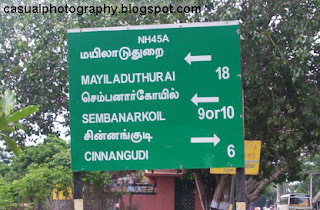 Below is a photo taken by me when i was travelling in one off the highways in Tamilnadu about a couple of years before. 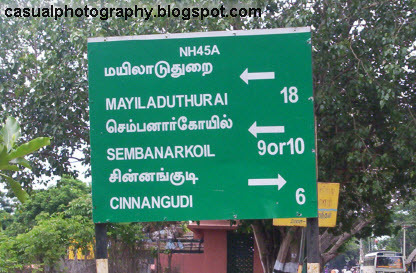 The milestone is showing 9 or 10 Kms to a specific town. How can it be so ambiguous?? Hope the changes would have been done by now at least, as i never got an opportunity to be in that highway for the past 2 years. Keep Travelling with me and bye for now..